Renewvia has completed two Kenya microgrids on islands in Lake Victoria and expects to bring a third online soon as part of its larger strategy to light up rural Africa. The Atlanta, Georgia company is positioning to develop 43 solar-storage systems in Kenya and neighboring Uganda and Nigeria, CEO Trey Jarrard told Microgrid Knowledge. Renewvia is moving ahead in the region as energy policy and regulations shift in its favor with Sub-Saharan African governments gaining confidence in off-grid microgrids and distributed energy as a way to achieve electrification, climate and sustainability goals, Jarrard said. Renewvia, which has been exploring business development in Sub-Saharan Africa since 2013, is one of the few private companies licensed by the Kenyan government as an independent power producer and microgrid operator. Long-term power purchase agreements (PPAs) with local county government agencies set the financial and operating terms and conditions for its Lake Victoria island community microgrids. “We built our platform in Kenya over the last four years. Now we’re expanding into Nigeria,” Jarrard said. The company has faced substantial barriers to entering private power markets in the region. “It takes a lot of time. You take a lot of lumps and you burn a lot of capital trying to figure all this out, but now we have a very efficient, scalable infrastructure. We feel comfortable in our ability to manage the unconventional logistics and deal with all the other uncertainties,” he said. Lack of access to conventional financing figures near the top of the list of challenges first movers face. As a result, the company has been using its own balance sheet to finance its development and growth. Institutional lenders and investors typically ask for customer payment history — as much as a year or more — as well as other performance criteria, such as energy consumption and reliability, to justify Renewvia’s business plan. That data isn’t available in countries where microgrids are new and many people lack bank accounts or credit history, Jarrard said. Renewvia microgrid subscribers pre-pay for electricity service via mobile money services. For example, Renewvia partners with Safari.com to link its customers into the wireless telecoms service provider’s M-PESA mobile payments service. Hiring, training and retaining local personnel is another key element of success. “We’ve done all that now, not only in remote areas, but on islands. We’re not anxious about our ability to execute anywhere,” Jarrard said. Typically, Renewvia’s microgrids are safer and more environmentally friendly than conventional energy sources used in the region — kerosene, diesel fuel, disposable batteries or biomass. 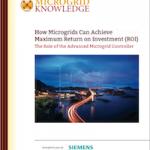 Further, microgrids can produce electricity at a lower cost, as much as 10 times lower. Solar-storage microgrid services also convey benefits in terms of human health, quality of life and the opportunity to expand an existing or launch a new business, Jarrard pointed out. The two Lake Victoria island community microgrids commissioned are delivering electricity to approximately 300 subscribers. That’s growing as residents who at first were skeptical see the benefits their neighbors are deriving, he said. “It’s significant in that when we first show up and ask who wants to subscribe a few villagers might raise their hands. Others are skeptical. They want to see it happen first. The first phase of our operations was centered on signing up subscribers. Now, we’re taking orders and sending crews out to the degree that we’re having difficulties keeping smart meters in stock,” Jarrard said. Renewvia is one of a growing list of private solar-storage and microgrid developers that sees a huge opportunity in Sub-Saharan Africa’s nascent microgrid market. In fact, Renewvia management welcomes others to join them. “The demand is so high here that even if a conventional developer comes in and rolls out hundreds of microgrids per year there will still be plenty of untapped potential across the region. We have established a good beachhead and have a good head-start as a result of the ‘first mover’ advantage,” Jarrard said. For its part, Renewvia is evaluating more than 100 solar microgrid development sites in Kenya, Nigeria, Ghana, Mozambique, Tanzania and Uganda, according to the company. Renewvia Completes Two Kenya #Microgrids, Positions for Growth in Africa. Regulators are beginning to catch up to the rapid growth. They’re working with a variety of partners, including multilateral development banks and non-governmental organizations (NGOs), to craft appropriate regulatory structures and market mechanisms. All things considered, Renewvia management believes the company is close to raising capital from institutional investors for the first time. “Instead of building one or two microgrids at a time, we would be able to roll out 20 or 25 at a time,” Jarrard said. 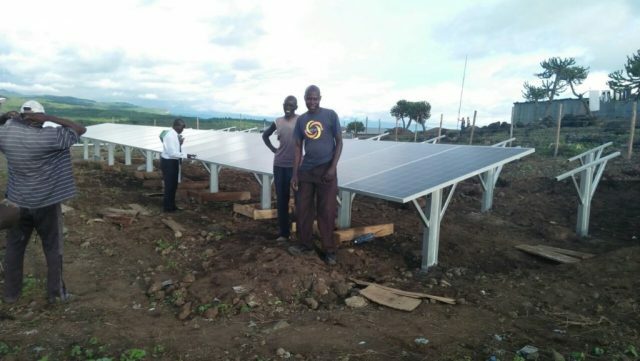 Track news about microgrids in Kenya and elsewhere in Africa. 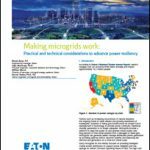 Subscribe to the Microgrid Knowledge newsletter. It’s free.